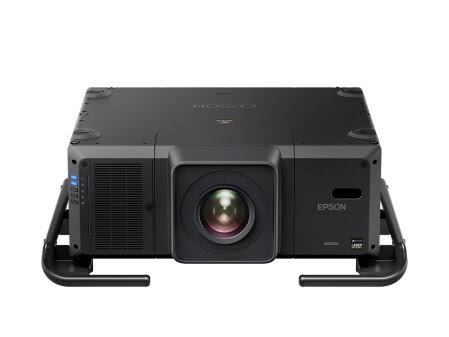 Epson, the number-one selling projector brand worldwide, today announced the launch of the EB-L25000U laser projector in Southeast Asia – the world’s first 3LCD 25,000 lumens laser projector, consisting of 25,000 lumens of colour brightness and white brightness to deliver spectacular image quality for outdoor and large venues. A technological breakthrough and industry first, the EB-L25000U integrates a fully sealed laser optical engine with laser-light source and inorganic components to deliver advanced performance, quality, and flexibility. The use of a laser light source contributes to a high contrast ratio of 2,500,000:1 that provides absolute black and vivid colour. The projector is capable of delivering bright and vibrant images for extremely long periods – this is due to its LCD panels and a phosphor wheel, which are made up of inorganic materials that have superior light and heat resistance. Users are able to operate continuously 24/7 for 20,000 hours of operation before the brightness starts to decrease. The EB-L25000U is ideal for rental and staging, as well as permanent large venue installations. Designed for installation flexibility, it is able to rotate and tilt 360 degrees in all directions. It comes with a wide array of motorized 4K compatible lenses, which when paired with the 4K Enhancement feature, turns projected images into a true-to-life, immersive experience. “The EB-L25000U is Epson’s highest lumen projector and helps to significantly expand our presence in the high brightness projector market. We have steadily increased our line-up of projectors and with our laser projectors, we are better able to meet the needs of the high end segments within the region. The high-lumen projector market is forecast to grow by 125% by 2020, and Epson is continuing to invest heavily in developing technologies and products to meet the expanding needs,” said Siew Jin Kiat, Regional General Manager (Southeast Asia), Printers & Visual Instruments Division, Epson Singapore. Epson’s EB-L25000U projector was launched with a projection mapping on the 47-metre high Prambanan Temple in Central Java in Indonesia, a UNESCO World Heritage Site. The projection mapping tells the story of the history of the temple construction which started in the mid-9th century. The EB-L25000U projector has been recognised in multiple industry awards. It was recently recognized in the Good Design Award 2016 organised by the Japan Institute for Design Promotion, and was awarded the prestigious Best New Rental / Staging Projector by rave Best of ISE 2016 Awards. Other awards won included NewBay Media’s Best of Show Awards at Infocomm 2016 from Digital Signage and Sound & Video Contractor magazines. 4K Enhancement Technology – Revolutionary technology accepts 4K signal and enhances a 1080p signal to output that surpasses Full HD image quality. 4K Enhancement technology shifts each pixel diagonally by 0.5 pixels to double the resolution, delivering crisp, high-definition images. 20,000 hours is the estimated projector life when used in Normal Mode. Actual hours may vary depending on mode and usage environment. The projectors come with a limited warranty of three years or 20,000 hours, whichever comes first.